This is my second post for the September Country View Challenge and I am still focussing on number plates (see my previous post for rusty antique French number plaques here.) Also you can seeee the finished project that I used one of these plates on at the end of this post. I had seen a set of metal number plates for sale on ebay and thought I would make myself a set to use as vintage/antique embellishments on future projects. 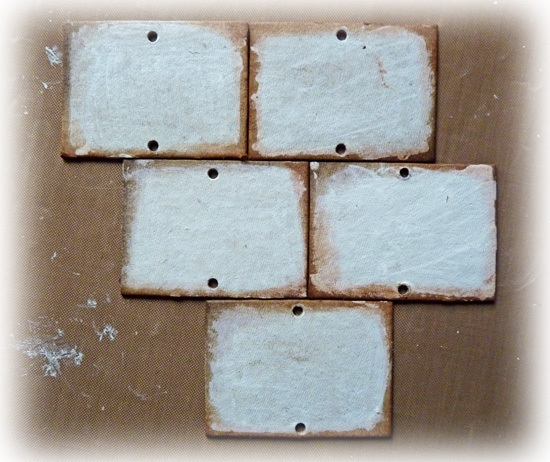 I die-cut rectangles of chipboard and added a hole in each side to take a split pin or brad. 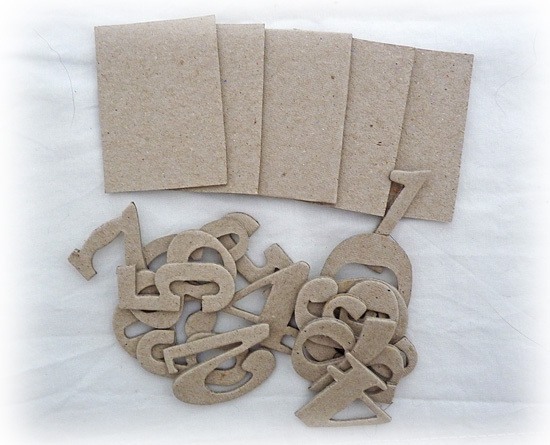 I then die cut a number several times using greyboard with my chosen die. 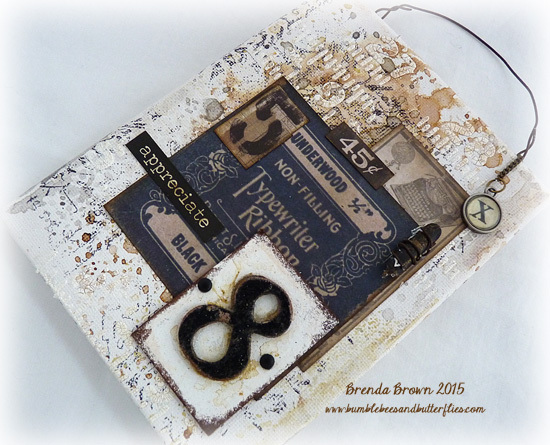 I used the Tim Holtz wordplay die and it takes chipboard perfectly so I only had to do two of each. I painted the rectangles with picket fence distress paint leaving rough edges to create a distressed look when I was finished. I played around with different ways to get the effects but ended up adhering one (or more if you have chosen thinner card) of the numbers onto the chipboard rectangle and leaving the other one for later. Then I realised I needed to have the edges of the numbers painted as well so out came the paint again. 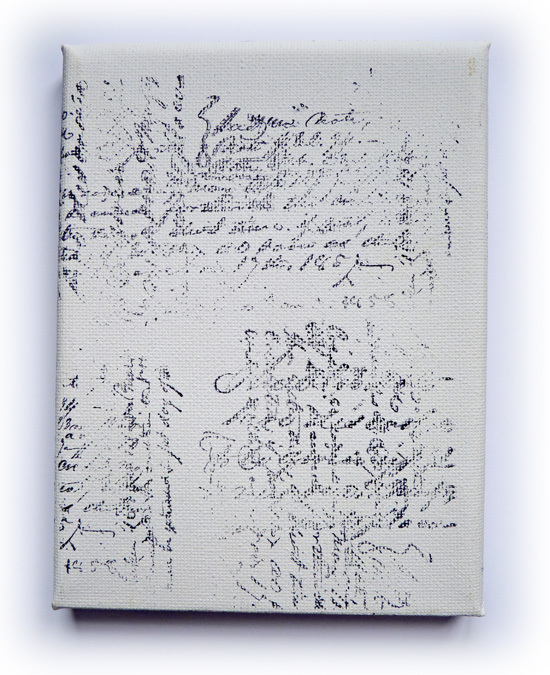 When they were dry I pushed them into a distress embossing ink pad, covered them with white embossing powder and rubbed some of it off around the edges and heated it. 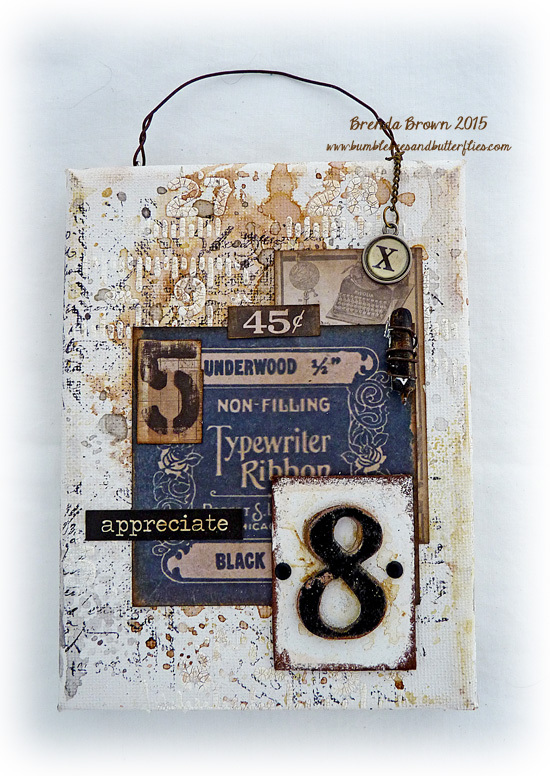 When cool I blended in vintage photo distress ink to create a worn and rusted effect. 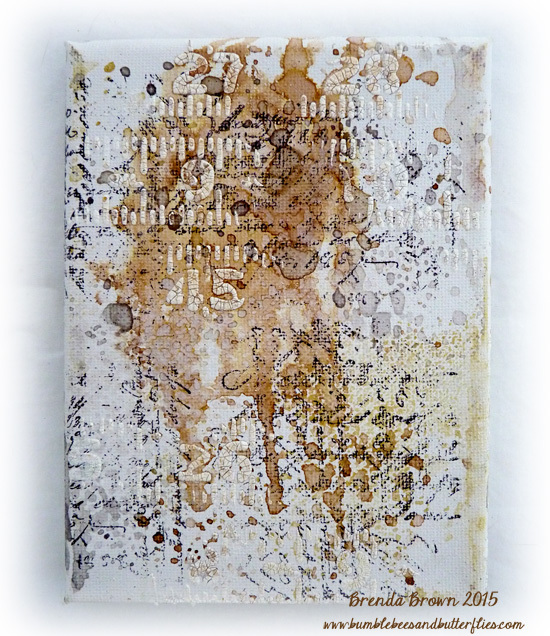 This is a similar technique to Tim's rusted enamel technique which you can find here. 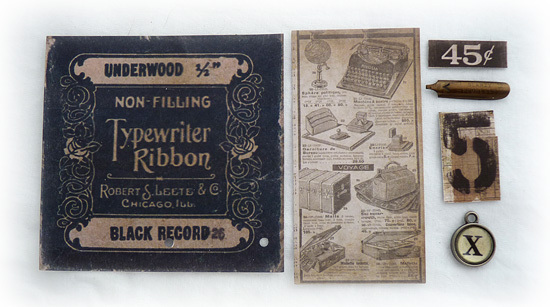 Repeat the embossing steps on the chipboard numbers you put aside using black embossing powder and again rub over with vintage photo DI. I also used a gathered twigs distress pen to get into the nooks and crannies that the ink blender couldn't get into. Adhere them over the top of the ones on the rectangles and paint in some gathered twigs distress paint in random places around the number and spritz with water dabbing the excess off with kitchen roll. You can see in this photo how prominent the numbers are on the plates. 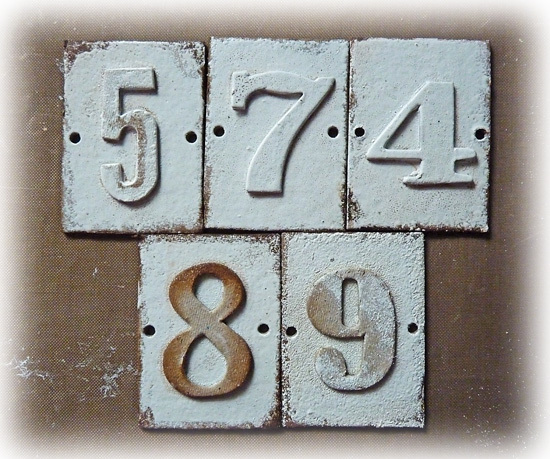 Hey presto you have yourself a set of antique enamelled number plates to use as embellishments on cards and canvases etc. 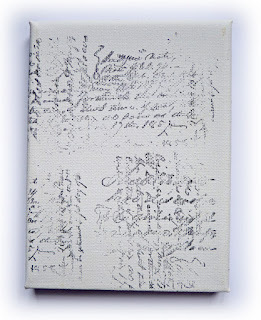 I wanted to use one straight away so I took some Tim Holtz ephemera and embellishments and a small canvas and set to work. 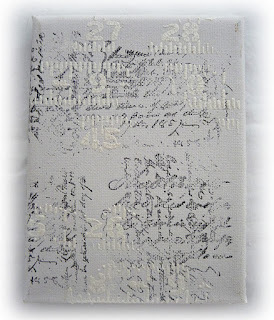 Firstly I stamped the canvas with one of Tim's new ledger script stamps and then added decoart white crackle paste through Tim's ruler stencil. When that was dry I added some neutral distress colours using vintage photo, antique linen and hickory smoke DIs. And once the embellishments had been added I had myself a vintagey little piece to hang on the wall. If you haven't yet seen the challenge do pop over to Country View Challenges and click on the September challenge in the side bar and it will take you straight there. Thanks for stopping by to take a peek at my work and hopefully you can take yourself some time to be creative this weekend. I hope to get some designing done and some planning for next years workshops but I am also off to Ally Pally today and tomorrow, so maybe I will see you there. Awesome canvas, Brenda! Love the technique used on the numbers. A brilliant 'how to make' post. Love your aged french numbers. The canvas looks fantastic. Seriously, this is my new favorite of yours, and that is saying something since I love all your work! Totally pinned!!!! Again some amazing number plates from you, Brenda! I can't say that these are not metal plaques! The illusion is perfect! 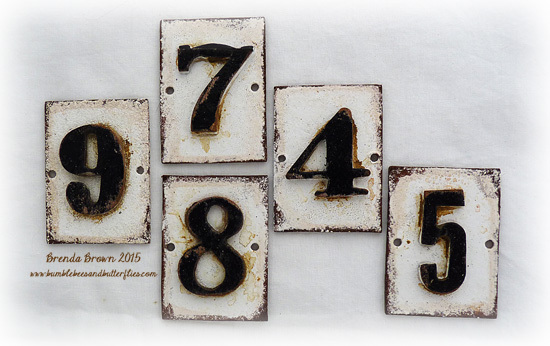 absolutely fab number plates - thx for sharing how you gave them an authentic antiqued look . 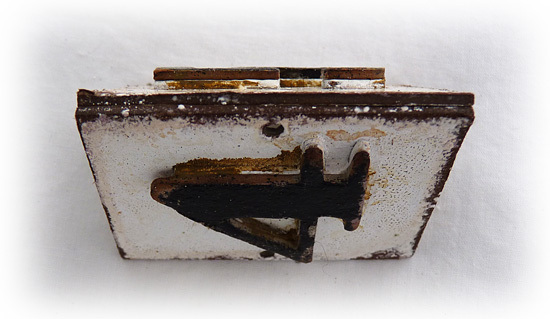 Such a brilliant vintage metal look to your number plates, Brenda - just shows we don't need to trawl flea markets - we should just do it ourselves!! 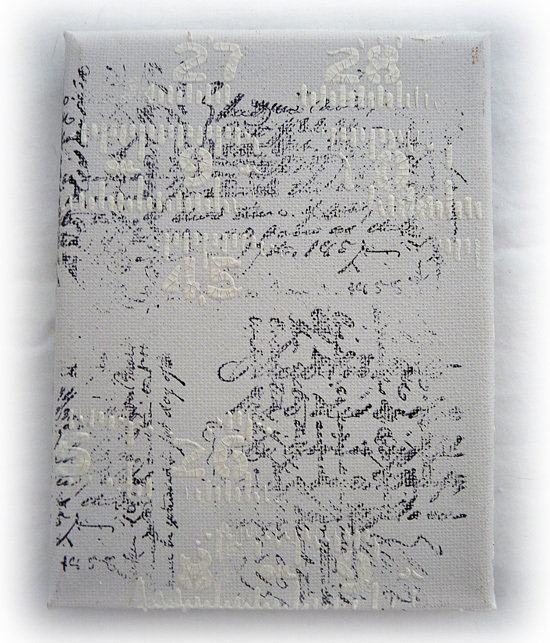 Your collaged canvas is gorgeous, and I'm looking forward to seeing the other plates in action too. Lovely to catch up yesterday (and shop!). I really love this.....beautifully done. 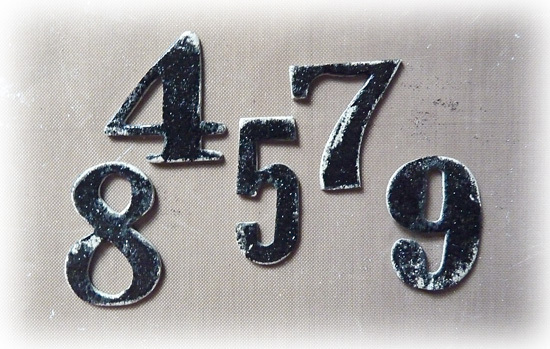 Kudos for a nice demo on how to make these numbers, they look so authentic. And I just love your finished artwork--it is really eye-catching! Brilliant number plates and absolutely stunning collage! Thank you so much for sharing the technique!